We made all of the stops! 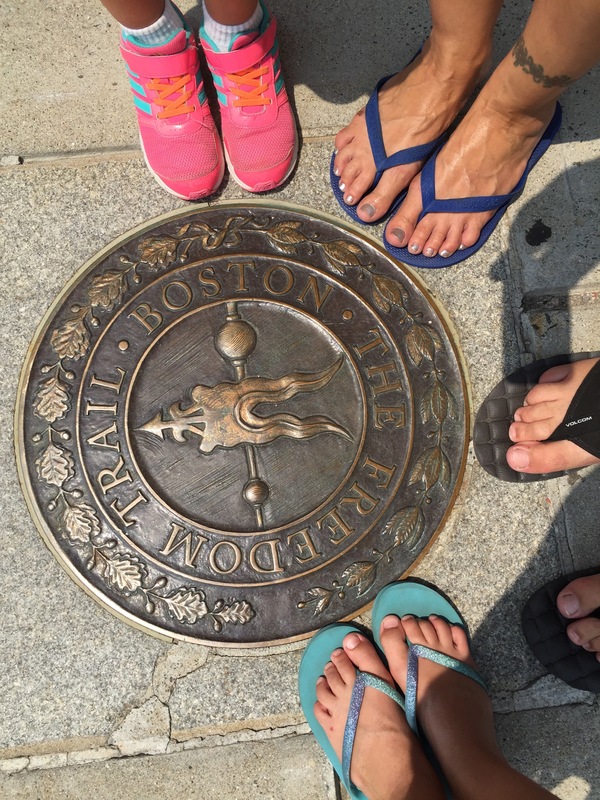 We set out today to finish the last two stops on the Freedom Trail. Both stops are on the same side of the river as our hotel, so we made a point of stopping at the playground (I saw from the train yesterday) so the girls could have some playtime. It was super hot even at ten o’clock in the morning, so the girls enjoyed skirting around the edges of the adjacent spray park, as well. 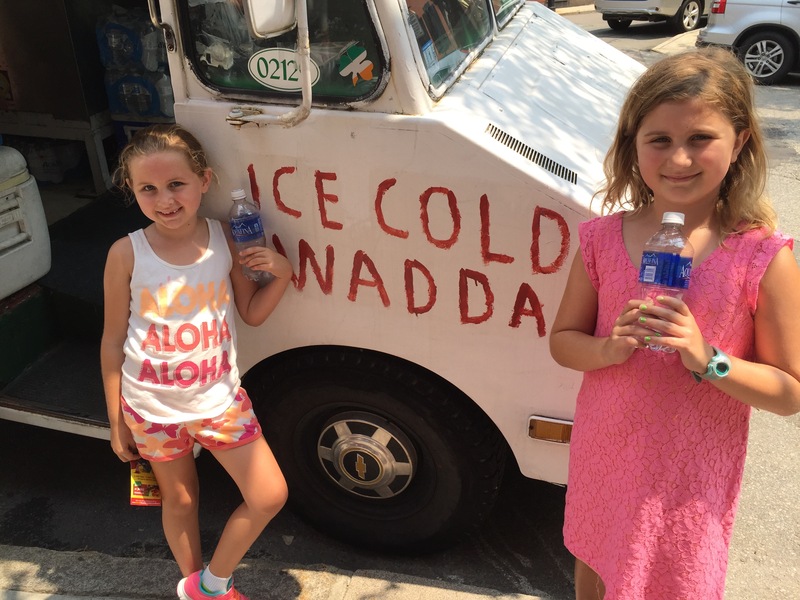 We eventually found the signature red line of the Freedom Trail, so we followed it toward the Bunker Hill Monument, finding a popsicle truck on the route. 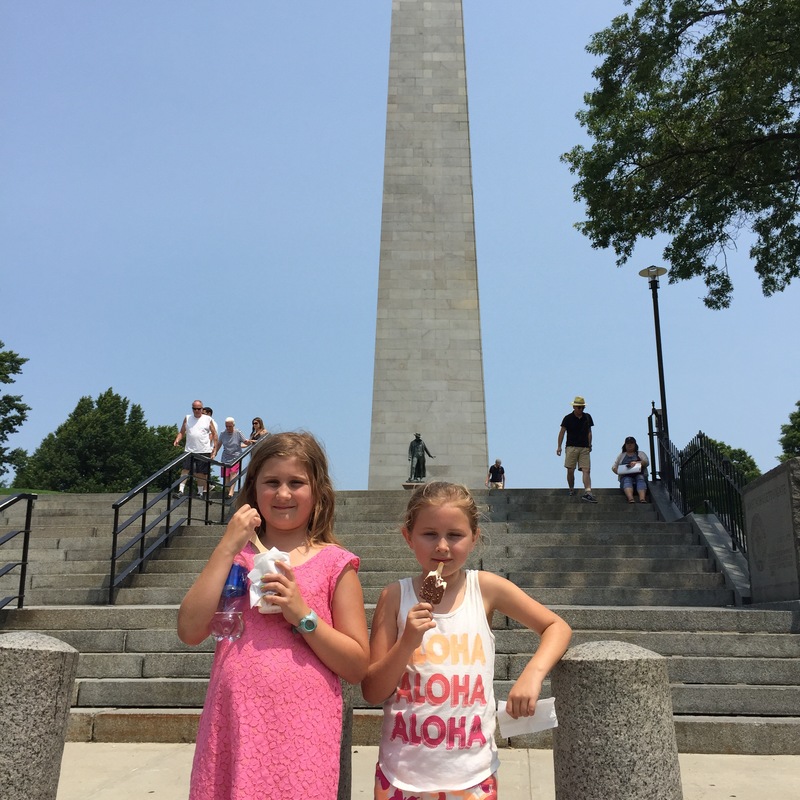 Bunker Hill Monument is a 221-foot tall granite obelisk that was built to commemorate the Revolutionary War Battle of Bunker Hill, which took place in 1775. 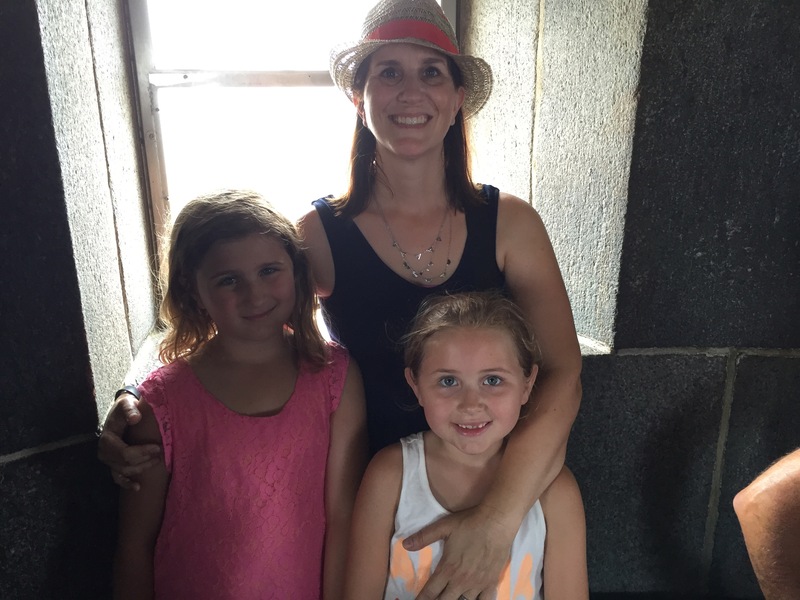 The monument has 294 steps to a viewpoint at the top. Thankfully (really? ), we were one degree from the NPS closing the monument due to the heat index. It was almost 90 degrees, but the ranger said it is typically 2 degrees warmer inside the monument. We made it to the top, although I did see my life flash before my eyes a few times. The only thing that keep me going was knowing that once I made it to the top, I could go back down again. We followed up our tower climb with a visit to the accompanying museum across the street. 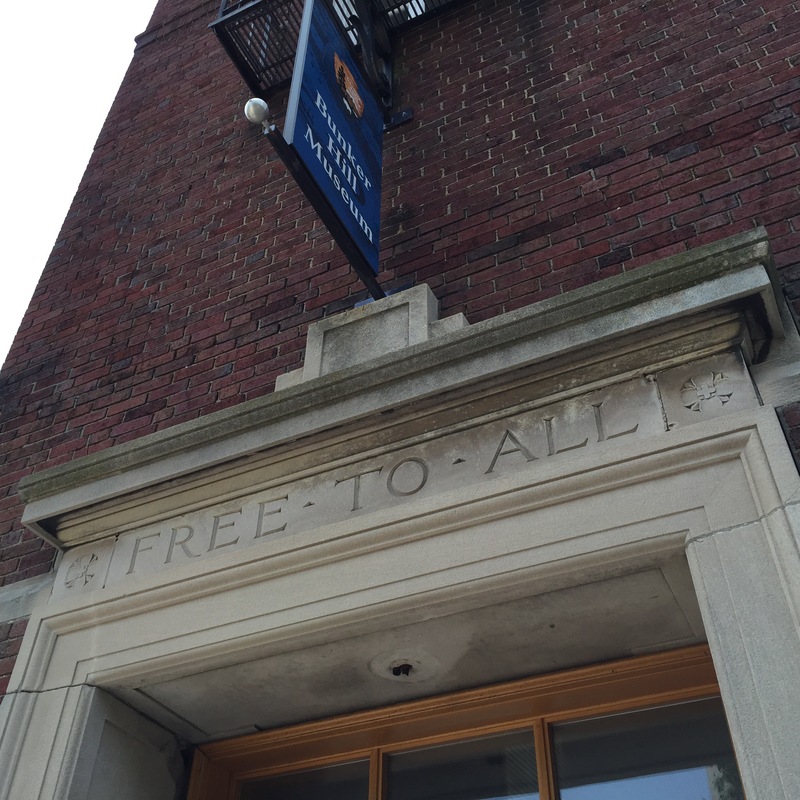 I enjoyed the exhibits, including a battlefield diorama, but I also enjoyed that it was housed in the former Charlestown Public Library building. 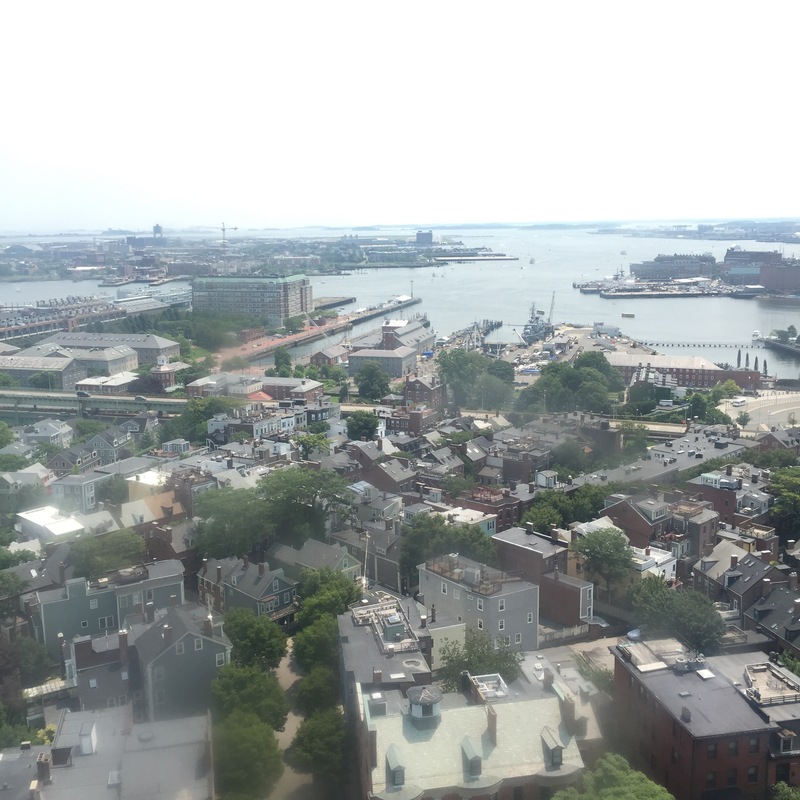 From Bunker Hill, we followed the trail down to the Charlestown Navy Yard to see the USS Constitution. 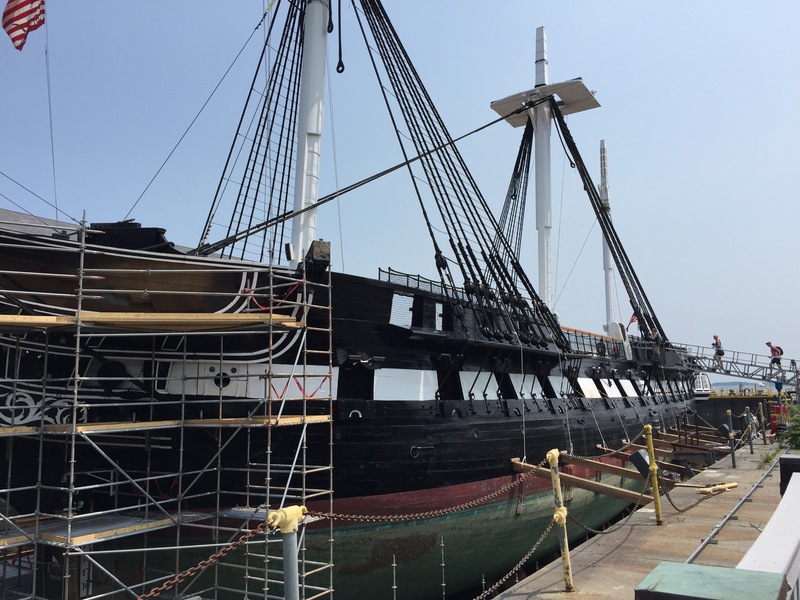 Built in 1797, the USS Constitution, also referred to as “Old Ironsides,” is the world’s oldest commissioned war ship. That means the men and women that work aboard are active duty Navy sailors. Although it is currently in dry dock undergoing a two year renovation project, we were able to go aboard and look around the main deck. 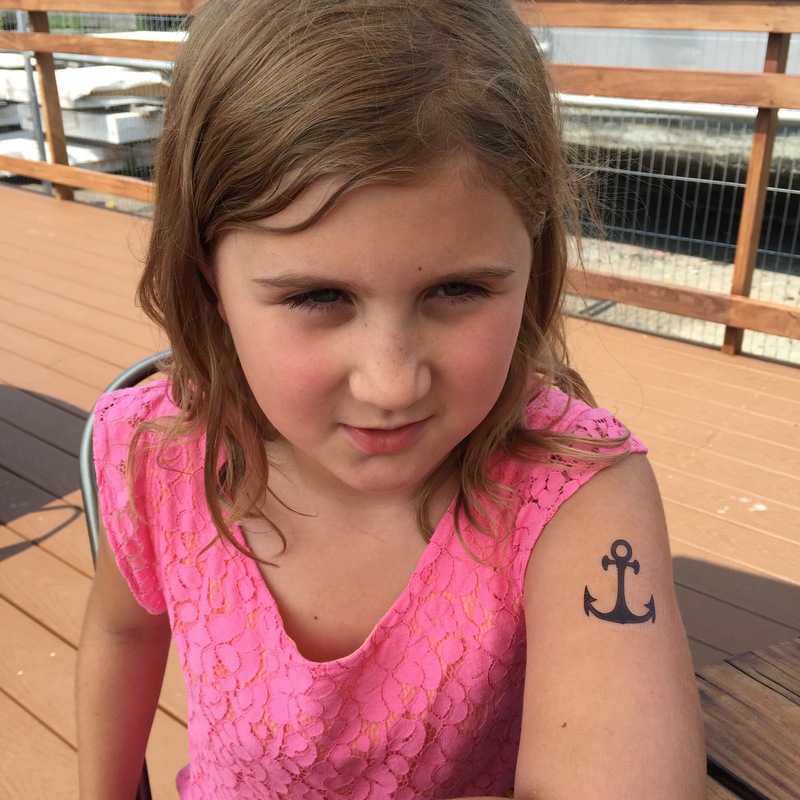 There is a museum on the adjacent dock, unfortunately none of us had the patience to endure any museum time. 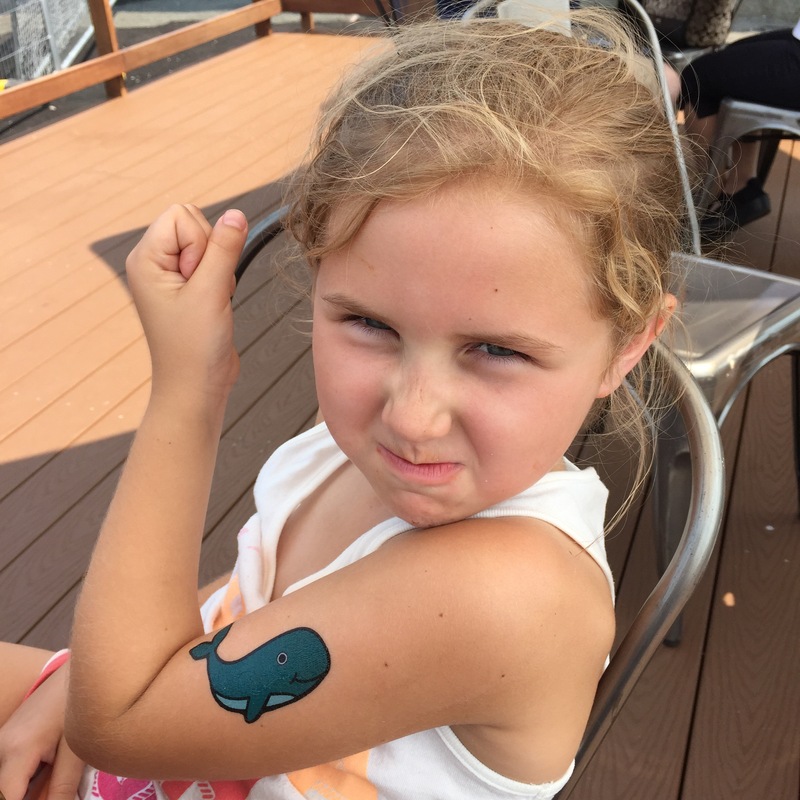 We stopped in merely to use the head and get the girls some wicked naval tattoos. Next, we walked down the pier to tour a World War II-era Destroyer, the USS Cassin Young followed by a quick lunch before we hailed a cab for a ride back to our hotel. 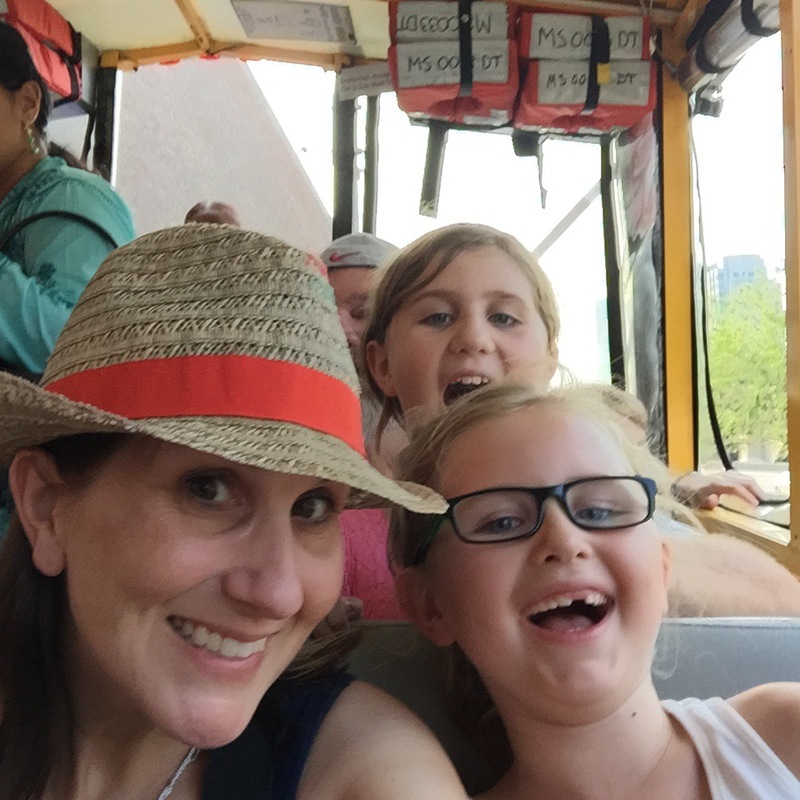 We watched HGTV for a few hours to unwind before taking a Duck Tour around Boston, including a short cruise on the Charles River. 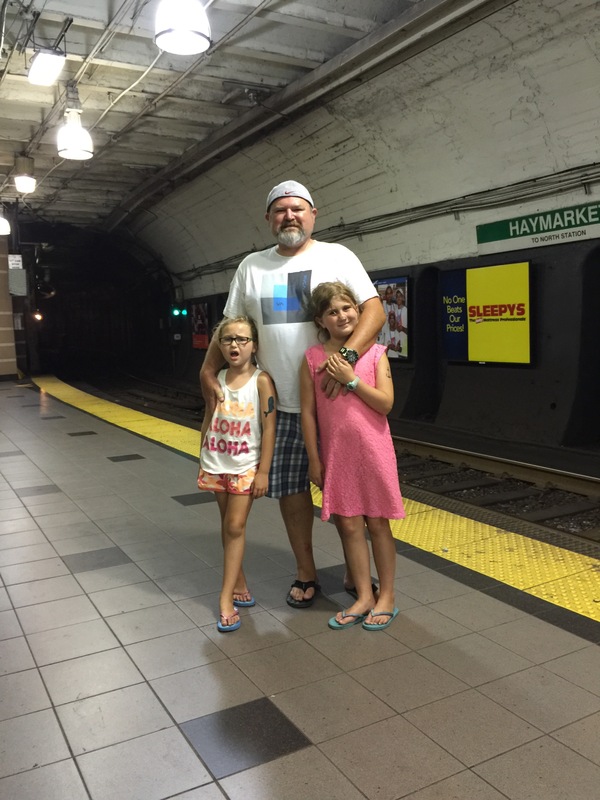 After the Duck Tour, we took the T to the North End to try to find some Italian food for dinner. 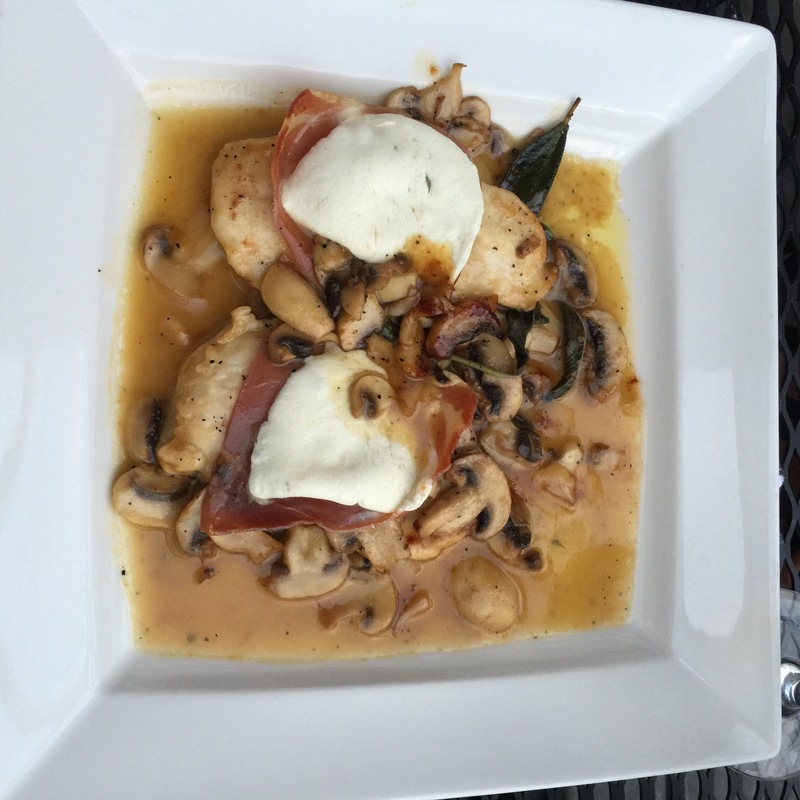 We took a stab in the dark and tried one of the first restaurants that we came upon, Fiorino. The lobby had a picture with the owner posing alongside Matt Damon (circa 1990-something), so it has to be good, right? Although Kiki refused to eat, Kai and I shared some delicious Chicken Saltimbuca while Jeff had Veal Parmigiana. 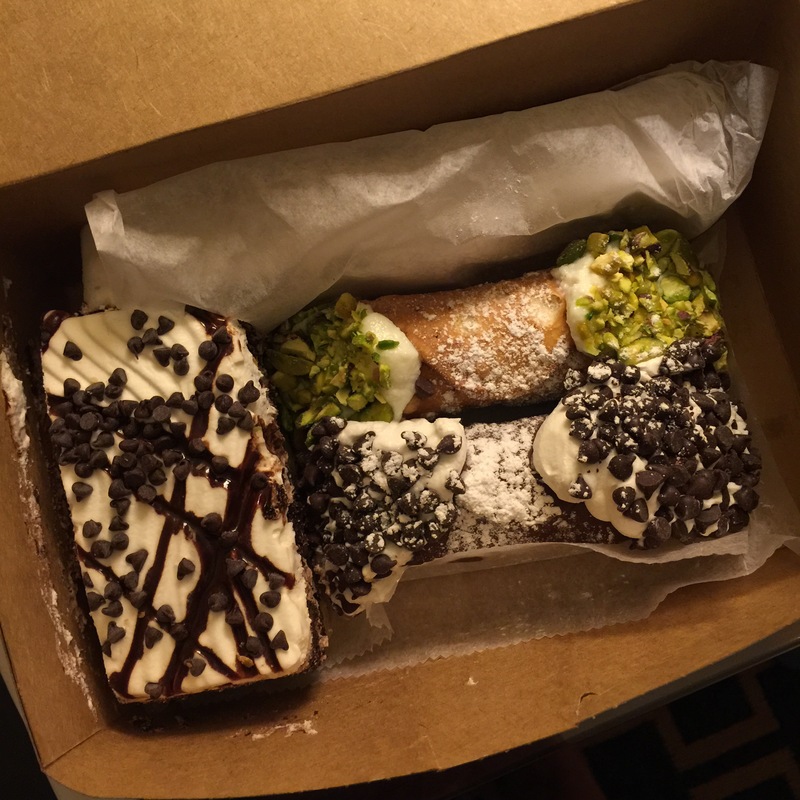 For dessert, we tried to make a stop at the famous Mike’s Pastry for some cannoli. One look at the line (more like a mob) and we kept on down the block to Modern Pastry. We were able to find yummy Italian pastries for each of us to eat once we got back to the hotel. 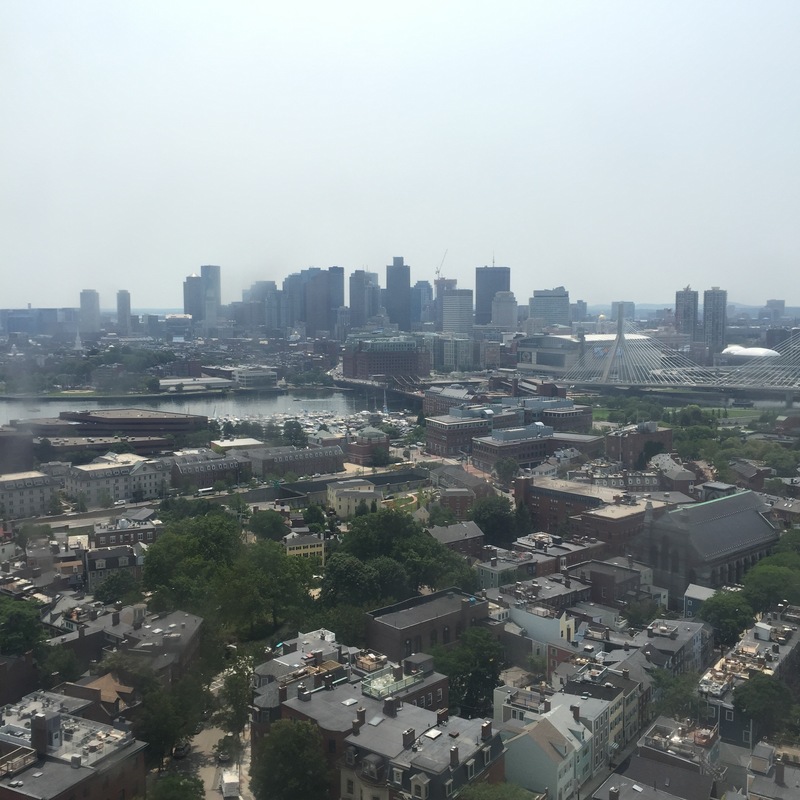 It was another wicked good day in Boston.